Do Manchester City have the best strikers in the Premier League? New Manchester City manager Manuel Pellegrini is excited about the club’s new strike force. He was asked whether he thought other clubs in the league would be envious of these riches and he said ‘Yes, I think so, it’s very strong…we have four very good strikers and that’s what you need if you play in the Premier League and Champions League as a competitive team’. The new boys Stevan Jovetic and Alvaro Negredo will join Sergio Aguero and Edin Dzeko at the club which now once again has four striker to utilise, a key aspect of their charge to the 2011/12 Premier League title. So, is this the best striking group in the league? Well, it probably is. Of course, one of the reasons for that is that not many teams are going to be playing with more than one striker at a time which means they don’t need to stockpile them in quite the same way. Only Chelsea could really get in to the discussion over the best group of forwards with City at the moment. Lukaku, Torres, Schurrle and Ba are not far off. In fact, in future, it could become just as good if Lukaku develops as expected. The difference between the two units at the moment is Sergio Aguero. Assuming he can re-find the form that fired City to the title rather than his injury plagued season last time out, he is better than any of the other strikers on the table. 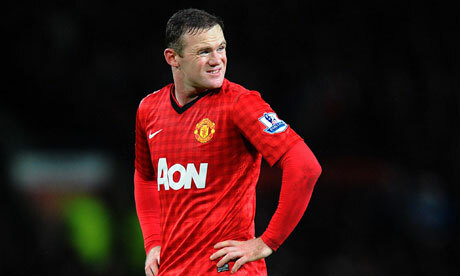 At full tilt he is as good as any in the league, including Van Persie and Suarez. By and large, the rest are pretty similar. For the youth of Jovetic see Schurrle. For the power of Dzeko see Lukaku and for the intelligence and work of Negredo see Torres. But it’s Aguero that gives City that extra quality. The only other club who boast four strikers that they could start are Man United, but at the moment their group isn’t quite at City’s level. Although van Persie is the best striker in the league, and a fit and in form Wayne Rooney is in the top five, the drop off to Hernandez and Welbeck is much greater than City would suffer if Aguero and his partner were injured. The big question for City to answer is how they are going to be able to find game time for all these players, but as Pellegrini says, they have two major competitions to try and win, and for that, they will need to keep their forwards fresh. Realistically, Dzeko and Negredo are competing for the same spot as the pivot up front with Aguero and Jovetic in the deeper role with roaming license. Both have the capability to play on the left if needed, although this is a catastrophic waste of Aguero’s talents, it does give them another option. Last season City’s title defence suffered because of a lack of consistent goal output. They’ve spent over £40m in order to correct that. Now, if one or two of them are struggling for form, they have other quality players to turn to to carry the load. Unlike last season they won’t need to play Aguero in to the ground and they can use Dzeko as an impact sub if that is best for the club. Manuel Pellegrini now has the luxury of a deep forward group which, with the headline act of a back to his best Aguero, looks to be the best in the league. Could Manchester City regret selling Carlos Tevez? 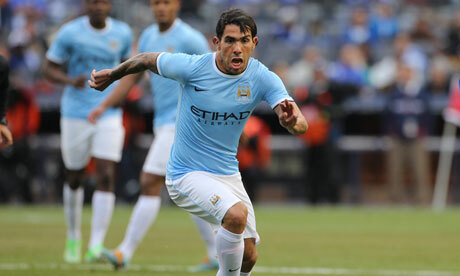 Man City have agreed to sell Carlos Tevez to Juventus for about £9m. The interesting thing is that all the reporting of the deal is focusing on how City are justifying such a small transfer fee, a loss of £16m on what they paid, because they save £17m on wages and bonuses. City need to be compliant with UEFA’s new Financial Fair Play rules. It’s also why they have backed out of the Edinson Cavani negotiations as the price climbs up to £50m. All very responsible, but all caused by strange decisions in the past in the markets. City have essentially had to sell Tevez and not replace him with Cavani because of deals like spending £34m on Fernandinho. £24m on Lescott. £16m on Javi Garcia. They’ve backed themselves in to a corner and now not only do they no longer have Tevez, there isn’t any sign of a replacement on the immediate horizon. That City have sold Tevez isn’t a massive shock. After going AWOL in the title-winning season his time was always going to be limited. However, despite this, he was a consistent performer last season. Never quite reaching the amazing levels of his 2010/11 campaign, but a reliable presence nonetheless. What is surprising though, is that he has been let go at a time when the game of musical strikers is well under way around Europe. In the spring City were linked with Radamel Falcao and Edinson Cavani. Barring a dramatic chain of events, they’ll get neither. They won’t get Robert Lewandowski and they won’t get Luis Suarez. They didn’t get involved in the bidding for Gonzalo Higuain and Real Madrid haven’t given any indication they would sell Karim Benzema. Now, in Sergio Aguero they have a truly world-class striker already. 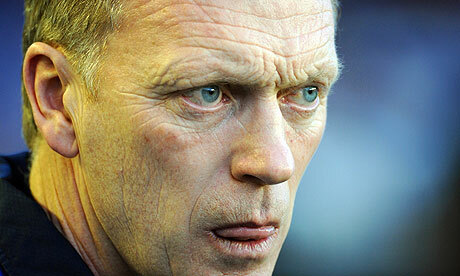 Edin Dzeko cost £24m and has shown that he can score goals. After that though, with the departures of Mario Balotelli and Tevez, the four strong forward line is down to two. They have the highly regarded John Guidetti waiting in the wings but do they want to rely on him? City want to win the Premier League and the Champions League, they can’t do that with two forwards. They couldn’t do it with four, let alone when shorn of two of those. There are still a few options for them to consider. If they wanted to replace Tevez’s deeper creative game, Fiorentina’s Steven Jovetic offers similar qualities, albeit at £20m+. As they seem to be missing out on Isco, they could involve themselves in the bidding for Christian Eriksen of Ajax or perhaps Schalke’s Julian Draxler. Again though, both would carry significant costs. If they are looking for a pure goal scorer, they can look at Sevilla’s Alvaro Negredo or perhaps even David Villa. They may even be tempted to have a look at Christian Benteke. By selling Tevez, City have gotten rid of an off field headache for themselves, but an on field headache for opponents. By selling him, and in all likelihood missing out on Isco to Real Madrid, they are going to have a creativity hole to fill. As things stand, their quite shallow squad has been made thinner. At the moment, if Aguero is starting with David Silva, Jesus Navas and Samir Nasri behind him, the next man up is Scott Sinclair. PSG midfield destroyer Blaise Matuidi has just a year left on his contract, which is of great interest to Manchester City who are rumoured to be interested in him as they transition away from Roberto Mancini’s 4-4-2 to Manuel Pellegrini’s 4-2-3-1. Matuidi could possibly partner Yaya Toure deep in midfield in this new formation. 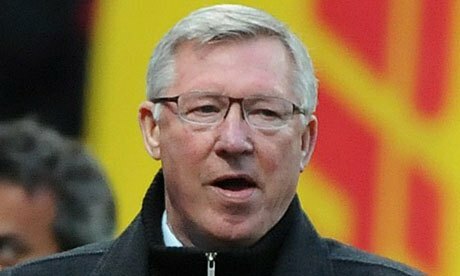 However, if he does become available, he looks like an interesting option for Arsene Wenger at Arsenal. Aaron Ramsey played well as the pure defensive shield as Wenger tweaked his system over the second half of last season and this new role allowed him to afford the defence good protection leading to them being the second tightest unit in the league. He is a good worker and interceptor of the ball and improved steadily in the role. However, unlike Marouane Fellaini whose rampaging menace would be near enough neutered playing this role at Arsenal, it is something Matuidi is amongst the best in Europe at doing. If Arsenal bought Fellaini and restricted him to being a pure shield, a simple and limited role, they would be wasting their time spending so much. However, with Matuidi the upgrade as this pure defensive minded shield would be big, big enough to justify the outlay. If you don’t know much about Matuidi, just know this. PSG bought him to replace Claude Makelele. It sums his game up and shows what he would offer Arsenal. Wenger is teaching Ramsey to play that role and what is required is superb positioning and sensing of danger, tackling skill, intercepting ability and the awareness to select the correct distribution option. Ramsey is doing decently at getting stuck in but his distribution isn’t ideal for the job. Matuidi already has it all. He’s also a huge presence on the field with his leadership and reliability. Arsenal could do with a few more players that can be relied on to perform at the same level every week. Tactically it would also allow Wenger to continue to use Jack Wilshere further forwards where he seems to see his future. The doubt in all of this is whether or not PSG would let him leave. Although he only has a year on his contract he is a key player for them. He has played 80 games in his two seasons in Paris and despite their infatuation with star power whoever ends up managing them, maybe Andre Villas-Boas, will be well aware of his importance. You can have all the attackers you like but unless you have someone with the discipline and sense of responsibility to work for the team and position themselves effectively then the team can’t win. He’s probably worth about £10-12m given his contract situation but it’s hard to see how PSG would let him leave. If they do though, Arsenal might hold an advantage over Man City. 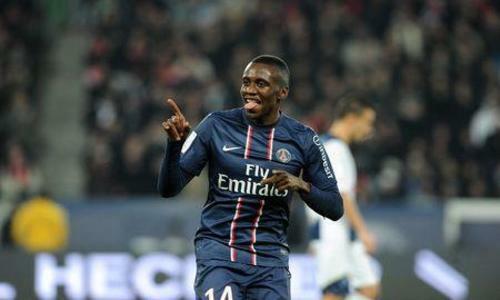 At Arsenal Matuidi would be a guaranteed starter. At City, he wouldn’t have the same security. City have just spent £34m on Fernandinho to be their play maker. Manuel Pellegrini is an advocate of the 4-2-3-1, which would likely see Fernandinho partner Toure in the two, particularly if rumours linking the club to Isco come true. At Arsenal, his only competition would be Aaron Ramsey and he is much better at the role they would compete for. According to a report in the Daily Telegraph Manchester City could be on the verge of completing their year-long pursuit of Shakhtar Donetsk central midfielder Fernandinho quickly after sealing the signing of Jesus Navas. If the deal goes through, it will be a critical statement of intent and ambition from Manchester City in a transfer window in which they are in danger of being marginalised by the likes of Monaco, Real Madrid and Chelsea in the spending stakes. If they get him, coupled with Navas, it will give their attacking play a fresh new impetus and off the field will show that they still have the ambition and wherewithal to compete for the biggest names. There are serious questions to be asked about the fees they’d have laid out to get them, but on the field they would be upgrades. Fernandinho is a central midfielder by preference, although he can, if needed, play deeper in a 4-2-3-1 as the playmaker in the Schweinsteiger/Xavi role. What Fernandinho has that none of the other City midfielders have is a full passing range and an ability to set a quick tempo in the passing game, roving around the pitch looking for the ball and looking to set attacks in motion. James Milner, Gareth Barry and Javi Garcia all offer hard work and endeavour but precious little quality. Yaya Toure and Jack Rodwell are box-to-box players capable of getting the odd goal and making tackles but don’t have the variety of passing available to them that Fernandinho has. He would bring something genuinely different to a City midfield that looked one paced last season and overly reliant on the attackers producing a moment of magic. Fernandinho even has a highlight reel of long-range goals. So there is no question he would be a good signing football wise, and the same can be said of Jesus Navas. But with City, there are always issues with finance. UEFA’s new Financial Fair Play rules come in to force this summer which means that clubs have to be careful what they spend, and should be tougher when negotiating to buy players. Of course, if you are buying from a club that doesn’t need to sell or are bidding against other big teams, the price will go up. The likes of Edinson Cavani and Gareth Bale are examples of this. The price can go sky high because the selling clubs are either relatively wealthy or have many clubs bidding. But, this isn’t the case with Fernandinho or Navas. Sevilla have said that City were the only club bidding on Jesus Navas, and they were surprised at how much they got for him; £22m in the end. Not only that, but Sevilla have financial troubles so surely could be been brought down a bit. In the case of Fernandinho, Shakhtar are a wealthy club but have been open that they would let Fernandinho go this summer. The Brazilian has a £42.5m release clause. The Telegraph believe a compromise fee has been reached but if this turns out to be anything over £20m it is far too much. As with Navas, they are the only bidders and Fernandinho has said he wants to play for them. The final puzzle about these moves, is the age of the players. Navas is 27, Fernandinho is 28. City are spending what is expected to be around £45m on these two players but may only get four or five years service from them. This will be the most they ever cost, and they will depreciate very quickly. City already have a lot of expensively bought players who have lost their value, which looks horrible on their Fair Play balance sheet. These moves make football sense, but no financial sense. Manchester City to add Spanish wingers after Pellegrini’s arrival? Last season one of the recurring weaknesses of Manchester City’s attack was the lack of width, pace and variety. This was compounded by some errant finishing but often the out of form strikers would have little opportunity to get a few shots on goal. This was because their attacking patterns were too one-dimensional. If they couldn’t rapidly pass their way through the middle of the opposition they were left without a Plan B. Although full backs Pablo Zabaleta and Gael Clichy provided some attacking width they don’t possess the kind of guile or creativity they needed out wide. Roberto Mancini’s first choice team often featured David Silva and Samir Nasri as the supposed width but they were usually given license to meander infield. Both of them have the natural compulsion to play in behind a striker and occasionally drift wide, rather than being out wide all of the time. With them drifting in, Carlos Tevez drifting back from his forward spot and with Yaya Toure getting forward from midfield, the sight of four or five City players within the width of the penalty box, but just outside, was not uncommon. With this in mind, they are being strongly linked to Spanish winger Jesus Navas and versatile attacking midfielder Isco, believed to be main targets for expected new manager Manuel Pellegrini. They are logical connections to make, with Isco having emerged as such a desirable prospect under Pellegrini at Malaga and ,Navas a consistent menace for Sevilla who have run in to financial difficulties and may be willing to sell their prised local boy. Isco is very much reminiscent of Santi Cazorla of Arsenal, his ex-teammate. Indeed, when Cazorla left last summer, Isco assumed his vacated central position and took on the mantle of the main playmaker for the Malaga side, which despite financial troubles reached the Champions League quarter finals and the top six of La Liga. Isco is two footed, has excellent vision, glides around the field and this season has increased his goal tally to nine, which is pretty similar to Cazorla, and more than possible new team mate David Silva. His main asset, as you would expect from a young Spaniard, is exemplary technique and football intelligence. Like Juan Mata, he has an impish creativity but also has a bustling and direct style, which makes him a dangerous runner with the ball. The question really, is fitting him in at City. Isco certainly has different tools to what City currently have. 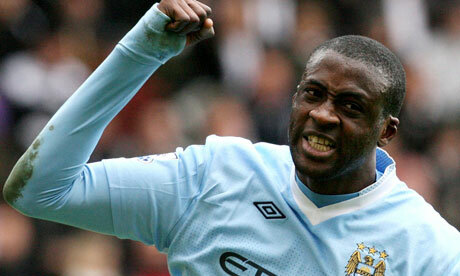 His powerful dribbling and improving goal getting give him an edge over Nasri and Silva. He is capable of making things happen without the need of a team-mate’s help; at times City play as if everything needs to click in to gear with everyone for it to work. He wouldn’t offer width, but he would bring much needed directness, inventiveness and pace in possession. Plus, he is on record with his admiration for the Premier League and has worked with the new probable new City boss, so persuading him should be easy enough. 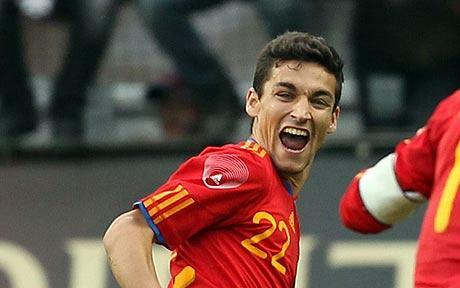 Jesus Navas on the other hand, would offer width. He is a bit of an anachronism in Spain because he is more like an old-fashioned winger. 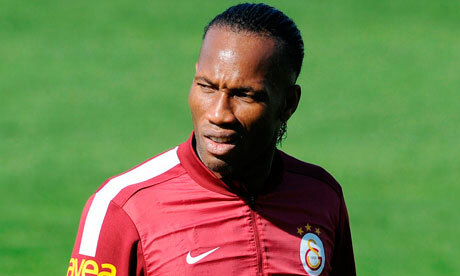 He is very fast with the ball at his feet and a very skilful dribbler. He is a creator of chaos and a creator of goals. He won’t score many, none in the league this season, but he will create them. If anything, the English game should suit him more than the Spanish game. The English propensity for wide-open, fast-paced football with big spaces to roam around in should be an ideal environment for him. He is a pure right winger who would stay out wide and provide not only creativity but a constant out ball, an outlet to switch the play to. The big questions with Navas have never been on the pitch though, it is with the homesickness that has blighted him. The joke in Spain is that he gets homesick in games outside Seville, so how is he going to cope in England? He doesn’t speak the language, and unless he brings his entire family over his adjustment to life in Manchester will be difficult. It might be reason enough for him to turn down such a move, preferring to stay in Spain. Isco and Jesus Navas would combine to offer Pellegrini the width, pace and variety that they lacked last year. They would bring with them Plans B and C for City and surely supply enough chances for Aguero to find his shooting boots again. City can afford them both, even if the deal gets up towards £50m, but they need to invest time and effort in settling them in, particularly with Navas. If they do, it could be the jolt they need to compete for the league again next year.